IIMC is excited to offer once again the IIMC Gives Back charitable contribution addition to the IIMC Annual Conference. With over 14,500 members from 15 different countries, our membership is a diverse group with the capability of making a se?rious impact on the lives of those who reside in the cities we visit each year. 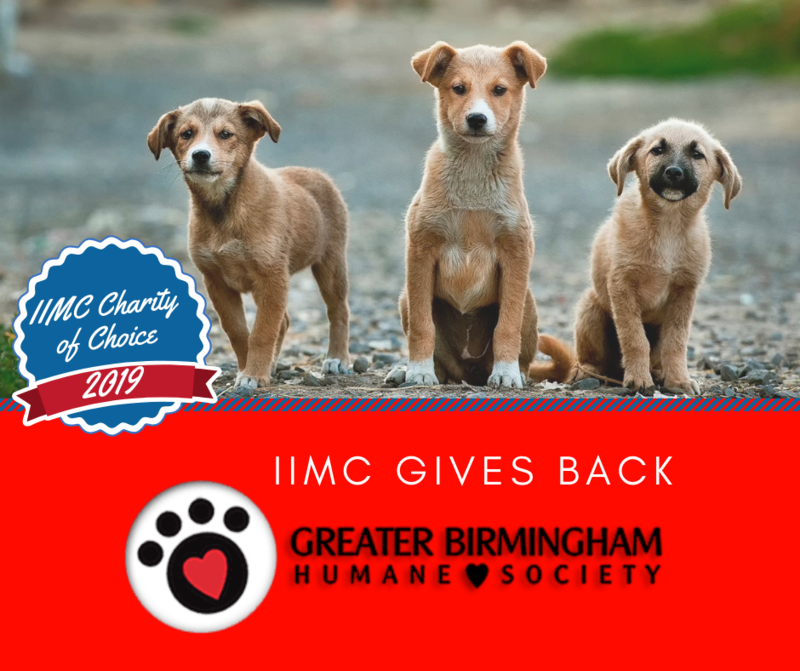 For the 73rd IIMC Annual Conference, IIMC has partnered with the Greater Birmingham Humane Society. The Greater Birmingham Humane Society, founded in 1883, is the largest and oldest humane society in Alabama. Over the course of of our history we have witnessed the changes in our community and yet have never left the original mission of Dr. Phillips "to promote the humane treatment of people and animals through education, advocacy and services”. Their dedicated, passionate, animal-loving staff and volunteers care for tens of thousand of animals each year and need IIMC's assistance to continue that work! Join IIMC in supporting the Greater Birmingham Humane Society by donating an item directly through Amazon from their wish list. We've made it easy for you to contribute to their mission and (an added benefit!!) to the IIMC Foundation at the same time! By logging on to Amazon Smile and selecting the "IIMC Foundation" as your Charity, 0.5% of the purchase price of your donation to the Humane Society will also donated to the IIMC Foundation to support Clerk Education. CLICK HERE TO SEE HOW YOU CAN HELP!